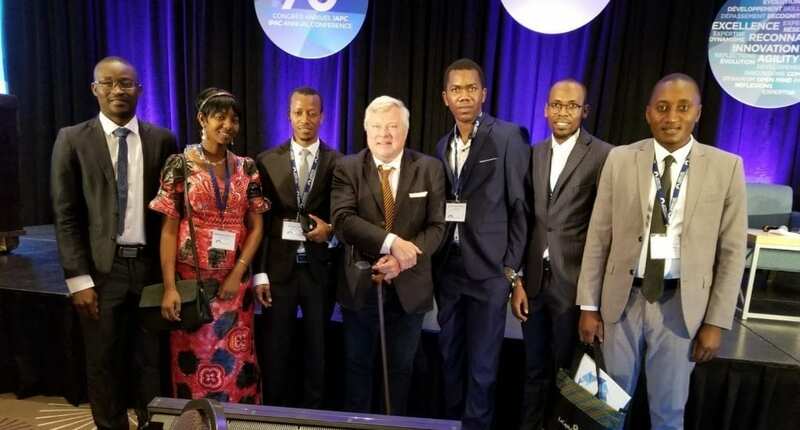 The 70th Institute of Public Administration of Canada (IPAC) Annual Conference was held at the Hilton Hotel in Quebec from August 19 to 22, 2018. 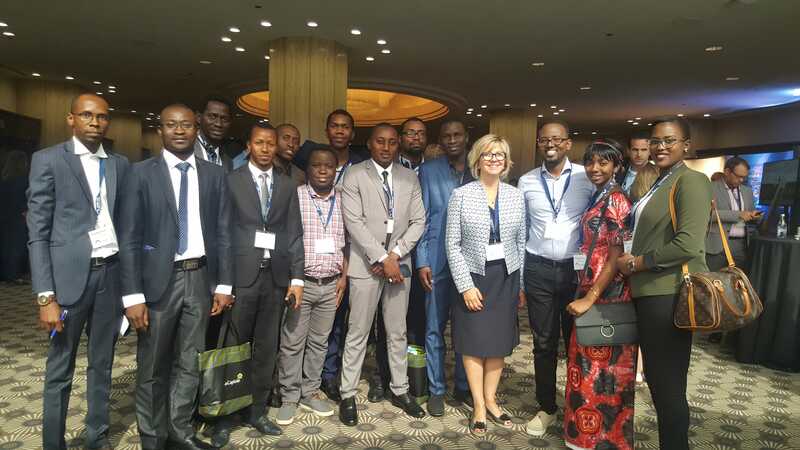 It was an opportunity for African Leaders of Tomorrow (ALT) scholars to hear from leading experts and practitioners and participate actively in workshops to find concrete solutions to make public administration more agile and creative and to build momentum for the future. The theme of the conference was “Public Administration under Pressure”. The workshops covered many different themes including new models of intervention, policy innovation, new development strategies at the municipal level, crisis management, changes in the public sector, IT, Big Data and public policy, citizen participation, performance management and mental health. There were also adjudicated papers mainly presented by academics and researchers from various Canadian Universities. The following are some of the major takeaways from the 2018 IPAC conference. The challenge for ALT scholars is to consider the relevance of these lessons for strengthening the public sector in Africa. The public service has evolved over time from the traditional bureaucratic system to a more customer-focused service delivery agent. However, more must be done by moving away from departmental silos to building trusted and unbiased collaborations with various stakeholders, NGOs and private organizations with evidence and value-for-money-based decision making. The delivery of public services is no longer about government doing it alone. Instead, we need to co-design, co-produce, co-decide and co-evaluate issues of service delivery. The Quebec Government applies collaborative approaches in developing sustainable development plans in order to align them with the realities and needs of different communities. Digital transformation is one of the biggest forces confronting today’s public service. The governments need to re-examine their competence frameworks to make sure they are aligned with the challenges of IT and Big Data revolution. The capacity of public servants needs to be strengthened to enable them to function effectively in a digital economy. For example, the Quebec Government is partnering with Laval University to create the Academy of Digital Economy with the aim of equipping public servants with the new skills required. The subject of provincial-municipal relations in Canada has been a long ongoing debate, with municipalities often described as ‘creatures of the provinces’. However, the Quebec Government has taken deliberate actions to change this narrative. It has passed Bill 122, an Act mainly to increase the autonomy and powers of municipalities. The Bill allows municipalities to make decisions based on the needs of their communities. If municipalities are granted more power and autonomy, they will focus their energy on providing good quality services to their communities. This also applies to many African countries who have taken steps towards constitutional recognition of local government. The devolution of power and responsibilities must be genuine to create a strong sense of local self-government. The President of the Public Service Commission of Canada reiterated that trust remains a critical aspect in public administration and should not be ignored. He noted that trust is rarely given much consideration in the design of policies and programs. These perspectives resonate with Professor Geert Bouckaert’s presentation on public management reform, where he argued that public management is heading towards trust governance. He describes the three Ts that make up the trust matrix in the public sector, T1 =Trust from society, T2 = Trust from the public sector & society and T3 = Trust within the public sector. Trust can be built through competence, reliability, openness, fairness and integrity. The complexity of challenges facing governments does not require conventional policy instruments and strategies any more. The call for public servants who are creative and innovative is rising. For example, Quebec City has implemented intelligent mobility management which allows for distance monitoring of more than 600 street lights. Presenters also highlighted some of the work being done by other Provincial Governments in Canada. For instance, in Manitoba the Government has piloted social impact bonds as innovative financing model for social services. The Government of Alberta has also adopted the Carbon Competitiveness Incentive Regulation (CCIR) as an innovative policy instrument to manage climate change. However, it was stressed that sometimes it is difficult to implement incentive systems for innovation in the public sector. It was also noted that Governments must by all means work to remove or reduce constraints to innovation in the public sector. Innovation can be stimulated by starting with pilot projects and conducting evolving evaluations of those pilot projects to build a culture of creativity and innovation. Innovation can also be enhanced by creating and building strong teams. During a roundtable on public management reform, Professor Geert Bouckaert highlighted that for effective reform, there must be a change in culture in the Public Service. He noted that public management reform requires a shift in political culture. Strong political support is required to drive public sector reform, but in most cases public sector reform is not a political priority. Although the Government of Canada is leading creative and innovative public service provision, it is constantly seeking to improve its use of evidence-based decision making. The speakers provided critical insights on the practice that surrounds evidence-based and result-based policy making which experiences strong internal and external pressures. This approach has the potential to have a greater impact on outcomes in Africa, where better use of evidence in policy and practice could help dramatically reduce poverty and improve social and economic performance. This is because EBDM tends to be less established in Africa, and policies are not largely based on evidence. Good public policy must be inclusive! Policy integrity is all about inclusion. It is important for the policy-making process to take into account the needs of all people directly or indirectly affected by the policy and to involve key stakeholders directly. This includes consultations with the public, who are the beneficiaries of the policy. An inclusive approach may include the following aspects: consulting those responsible for service delivery/implementation, consulting those at the receiving end or otherwise affected by the policy, carrying out an impact assessment and seeking feedback on policy from recipients and frontline providers.